Carbon can be sequestered and used to help recover other compounds and energy sources that may not be recoverable using other methods because of the restrictions and limits on most conventional methods of recovery. Carbon can be pumped into geological formations that contain coal to enhance and improve the recovery of methane gas because coal absorbs methane if no carbon is present. When carbon is added, the coal will release methane to absorb the carbon instead and this released methane can be recovered. 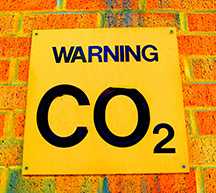 What is CO2 sequestration, how does it work, and what are the benefits? These are questions asked by many, and most do not understand the process or the concept. There are two main types of CO2 sequestration: geological sequestration and terrestrial sequestration. CO2 sequestration is the process of placing CO2 (carbon dioxide) in a place where it is unable to affect the atmosphere; essentially, it is a safekeeping process. Carbon is one of the greenhouse gases released from the burning of fossil fuels and other sources, and these gases are one of the biggest causes of global warming today. Terrestrial sequestration of CO2 is the use of plants and various microorganisms in soil to remove carbon from the atmosphere. This method involves enhancing plants and soil components to increase their absorption of carbon from the atmosphere. There are many methods used in this process, including planting trees, preserving forests, and reducing or eliminating till farming practices. These are some of the most common methods. Research is being conducted to decipher the genetic codes of soil microbes that store carbon so more grasses and trees that grow rapidly - thus able to remove more carbon from the atmosphere at a faster rate - can be planted and grown. Geological CO2 sequestration involves using different geological formations, like underground reservoirs, as a repository for carbon. The aim here is to store the carbon securely in the earth. There are different formations that can be used and each one has certain advantages and disadvantages. These formations are basalts, oil and gas reservoirs, coal seams that cannot be mined, deep saline formations, and organic shale, which is rich in gas and oil. These geological formations are perfectly suited for carbon storage and include other benefits as well. One benefit of this method of sequestering CO2 is that injecting carbon into oil and gas reservoirs will facilitate the ability to recover gas and oil resources that are still in these reservoirs after earlier recovery efforts were unable to attain these sources. CO2 sequestration offers many benefits to the environment. Sequestering carbon helps remove it from the atmosphere. This minimizes the effects carbon emissions have on the planet with regard to global warming. This can help prevent further warming and pollution problems in many areas and carbon can also be used in the process of recovering fossil fuels, making those industries more profitable and efficient. Whether carbon is sequestered using plants and trees or by storing it in geological formations, it is removed from the atmosphere and put where it cannot do any further damage to the earth and the environment. CO2 sequestration offers many benefits to the environment, people who live on the earth and to energy companies and other businesses who can use these processes to recover other natural resources that may otherwise never be recovered. With global warming and carbon emissions becoming a big problem for the environment, sequestering carbon is a way to help the environment and easily recover resources in a way that would not be possible without pumping carbon into geological formations where these resources are located. Posted on November 5th under Pollution Reduction. good we should find out altenative fuel resourses to overcome the engery crises and to reduce co2 emission. Does this help return needed carbon to the soil when you use geological or terrestial sequestration? This article was very informative and I’d love to learn more.